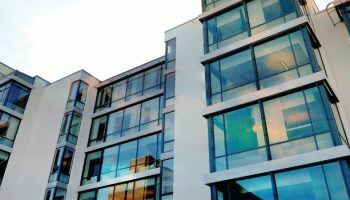 While politicians have been attempting to reduce the influence that overseas investors have on the Australian real estate market recent figures show they may have failed. Foreign investment approval value numbers in Australia surged by 75% over the last 12 months to a record $61 billion. Information released by the Foreign Investment Review Board showed there were nearly 37,000 applications from non-Australian citizens who were non-permanent residents. The approval number relates solely to residential properties. Since the financial year 2012/13 the number of approvals for residential property purchases by foreign investors has tripled. It is also believed that nearly 50% of these approvals are targeted towards the development of new residential properties which is something that governments around the world have found challenging to say the least. The 60% increase in application numbers over the last 12 months equates to a 75% increase in the cumulative value of the properties involved. This is a phenomenal amount of money and while not all approvals have yet been acted upon the conversion rate from approval to actual investment is estimated at around 33%. Which markets have been targeted? As you might have guessed the likes of Melbourne, Sydney and Brisbane have been targeted by overseas investors with inner-city high-rise properties much in demand. It is sometimes easy to forget that Australia is a “different” real estate market because of the nature of the terrain, there is great concentration in a relatively small number of towns and cities. Over the last few years overseas investors have been ploughing significant amounts of money into the Australian real estate market and the Australian economy. The spike in activity across the natural resources/mining sector essentially ensured that Australia did not dip into recession in the aftermath of the 2008 economic crisis. Indeed Australia was one of the few countries around the world which has yet to experience a recession since 2008. Is strong overseas investment healthy? If you look at one area of the Australian economy in isolation, i.e. the real estate market, it is perhaps relevant to suggest that over dependence upon overseas investors is not healthy. However, this does not give the overall picture because investors ploughing money into Australian real estate often have business interests or employment opportunities across the country. This ensures that skills gaps are filled, businesses receive overseas investment to expand and more and more international businesses are targeting Australia. So, if we look in isolation the influence of overseas investors may look unhealthy but there are certainly positive side-effects. While there has been a significant increase in the number of foreign investor approvals for Australian real estate it is still no more than 25% of the new build market in value terms. So, while overseas investment could well fill a gap for the Australian real estate market it may be that the “dependence” tag has been overdone? It will be interesting to see how politicians react to this latest survey in light of their recent attempts to reduce the amount of overseas investment. Many people blame overseas investors for an increase in property prices above and beyond the level which first-time buyers can afford. Do artificially low interest rates inflate the value of real estate? What does the £500 billion rescue package mean for the UK property market? UK housing market in deep deep trouble!